Fences reveal a lot about rural communities. 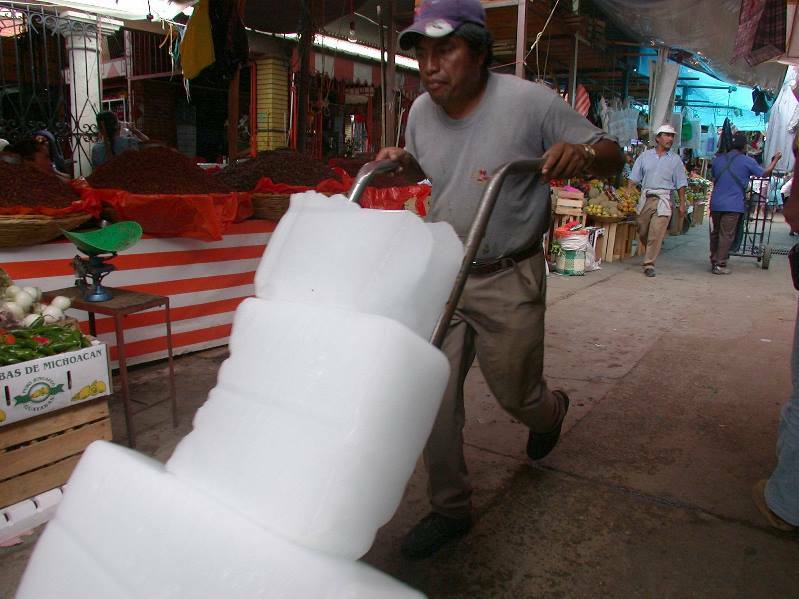 They show how farmers make good use of available materials, but they can also uncover social tensions. Reading fences and understanding what they do and represent tells you a lot about how people work and live. 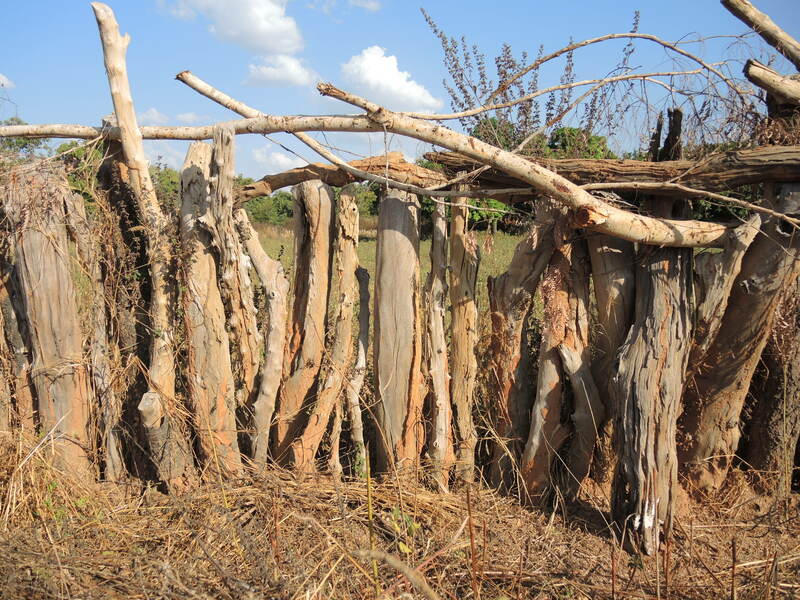 In the country-side of Kenya, farmers have a long tradition of fencing their farm with wooden poles. While this practice stems from a time where trees were abundant, competition with fuel wood is gradually changing this practice towards more inclusion of living plants. 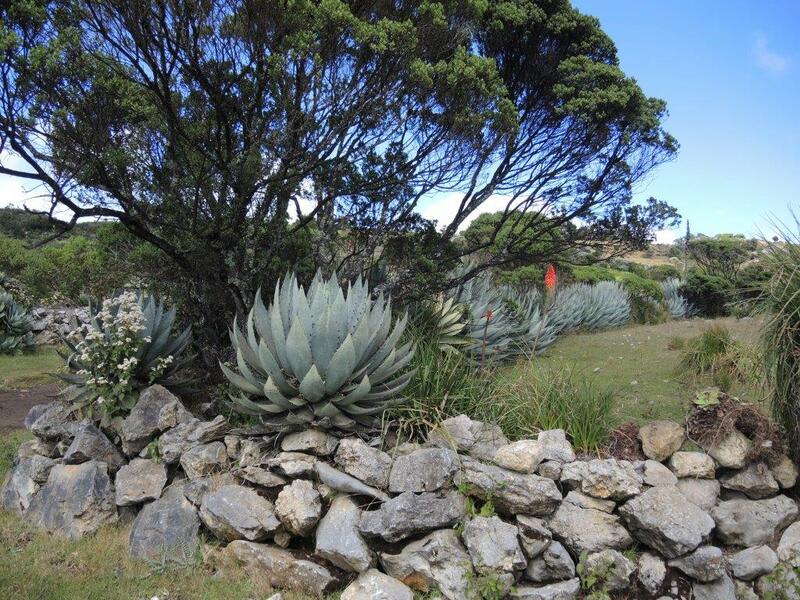 In some parts of East Africa, fences contain the so-called pencil plant (Euphorbia tirucalli), grown in Europe as an ornamental. The aim is to discourage potential intruders, particularly those trying to steal livestock. The fragile branches of pencil plants break easily, releasing a white sap that can blind people when the juice gets into their eyes. 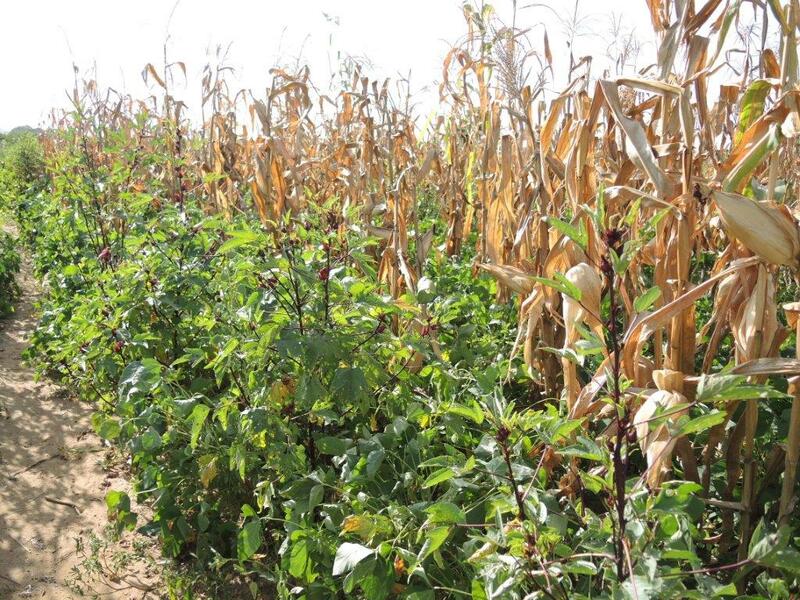 In Egypt, farmers protect their maize from grazing animals by surrounding the field with a row of nightshade (from the same plant genus as potato and tomato). As with Euphorbia, the nightshade’s leaves contain a toxic juice. Farmers can restrain their own animals from grazing af ar, but can’t be sure their neighbours do the same. And once cattle get into your maize field, the damage can be huge. A small investment in fences prevents disputes with your neighbours about who pays for the losses. But fences often do more than keep animals out. Stone walls in Guatemala often contain sisal plants. Without reducing the land available for grazing animals, the space taken up by the fence is used to grow this valuable plant that provides farmers with fibre to make ropes. By diversifying crop, livestock and plant species on farm, farmers ensure a steady supply of what they need to live from their land. 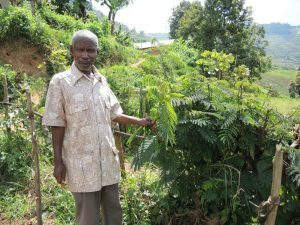 At the highlands of southwest Uganda, a local farmer, James Kabareebe, showed us how he plants Calliandra around his fields, an agroforestry practice widely promoted by projects in the 1990s. Prunings of this leguminous tree are used as mulch to enrich his soil with nitrogen. And above all, it provides the necessary organic matter to soils on sloping land that are highly vulnerable to erosion caused by tropical downpours. At times, living fences also point to a level of social injustice. 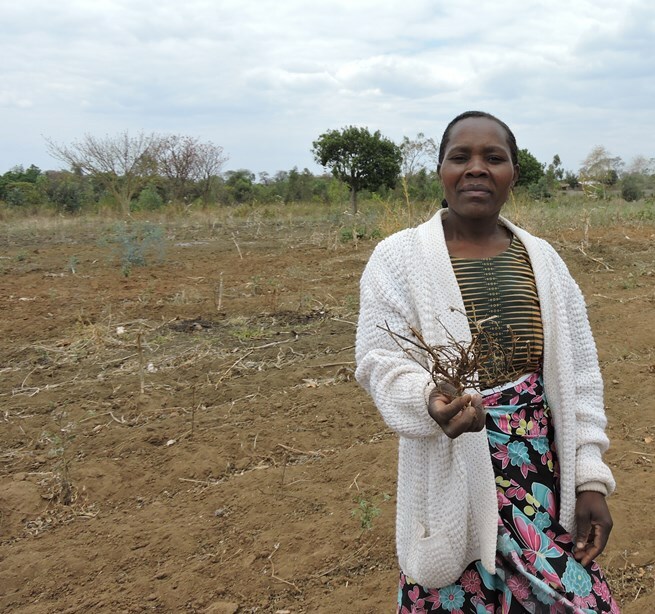 Customary land rights benefit male community members, while women are often left to struggle to grow food on smaller plots or on less fertile soils. In parts of Mali, women have negotiated with their men to grow a high value crop along the border of the field. 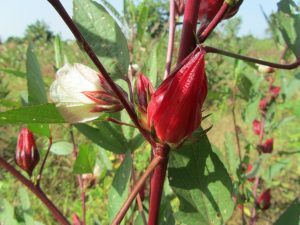 The juicy, red flower heads of the roselle or bissap plant (Hibiscus sabdariffa), which is native to West Africa, provide a good source of additional revenue for rural women. Fences across the world give us insights into how people manage their land. They are like a signature, revealing a little about how people relate to the land, and to each other. When farmers have limited access to arable land and soils are poor, limiting soil erosion can make the difference between harvesting a crop or nothing at all. Soils are indeed at the core of any crop production system. Without a healthy soil, crops cannot thrive. While measuring the effect of soil erosion at national and global scales is near impossible, all farmers see the difference when effective soil conservation techniques are in place. 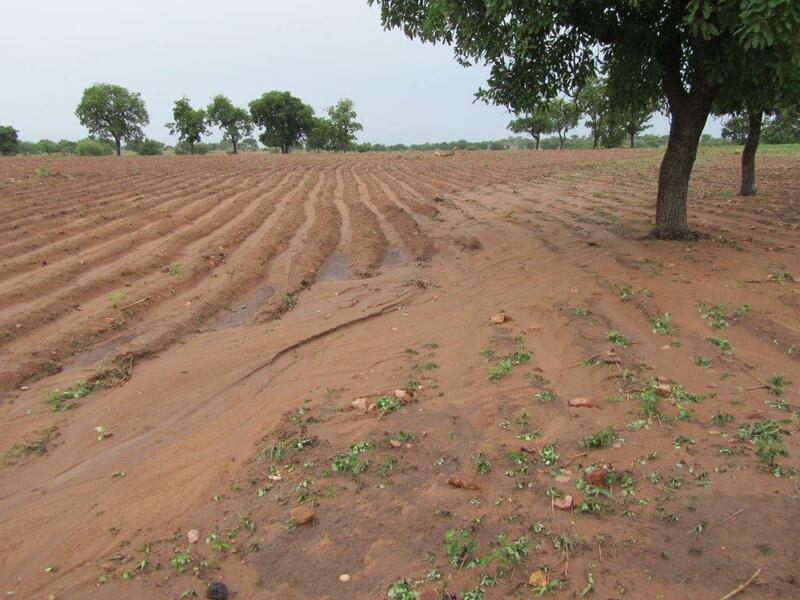 Putting the right strategies in place to control erosion is becoming increasingly urgent as climate change is leading to rains falling more erratic and intense than before. From the gentle rolling lands in Burkina Faso to the steep hills in northern Vietnam, I have seen the devastating effects of rainfall on poorly managed soils. On gentle slopes of even as small as five degrees, the torrential rains wash away the top soil and seal the top layer, after which no more water can penetrate the soil. 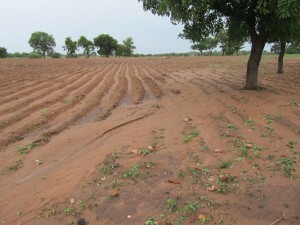 To remedy this, farmers in Burkina Faso learned about making contour bunds (raised ridges every 20 meters across the field) to allow the rainwater to infiltrate. On steeper slopes, where the land is much more difficult to be ploughed by anaimals or machines, vegetation barriers or terraces are possible solutions to stop soils eroding. 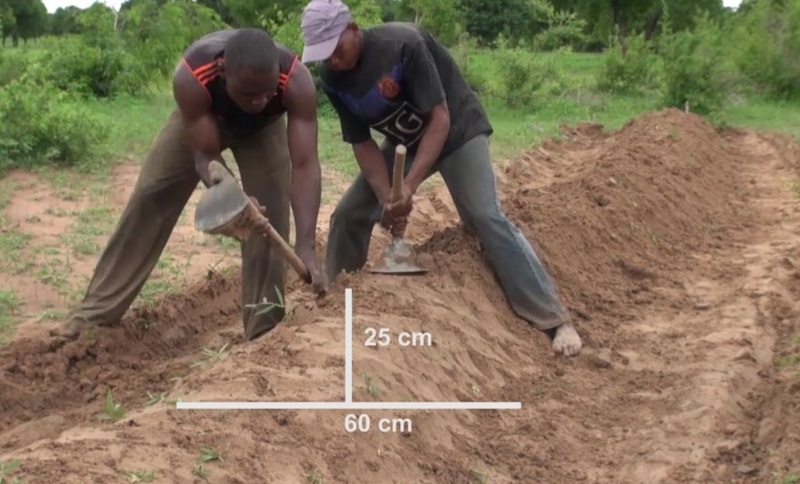 Depending on the slope, type of soil, availability of labour and other resources a wide range of options are available to improve soil and water management. 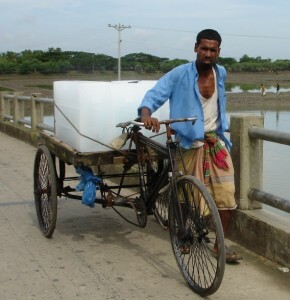 Networks such as WOCAT (the World Overview of Conservation Approaches and Technologies) support organisations working on the ground with farmers by making hundreds of sustainable soil and water management technologies available in an authoritative website. 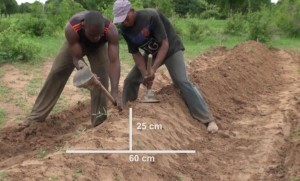 While many development agencies and projects believe that encouraging smallholder farmers to use mineral fertilizers is the quickest way to solve low crop productivity, without proper soil conservation techniques farmers will see most of their money invested wash down the drain. People usually have a good reason for ignoring free advice. So when Tumpale Pindani, my Malawian colleague, asked me “How long will it take before the people in Malawi accept conservation agriculture,” I could tell that it had already been a long slog, even though I couldn’t answer her question. 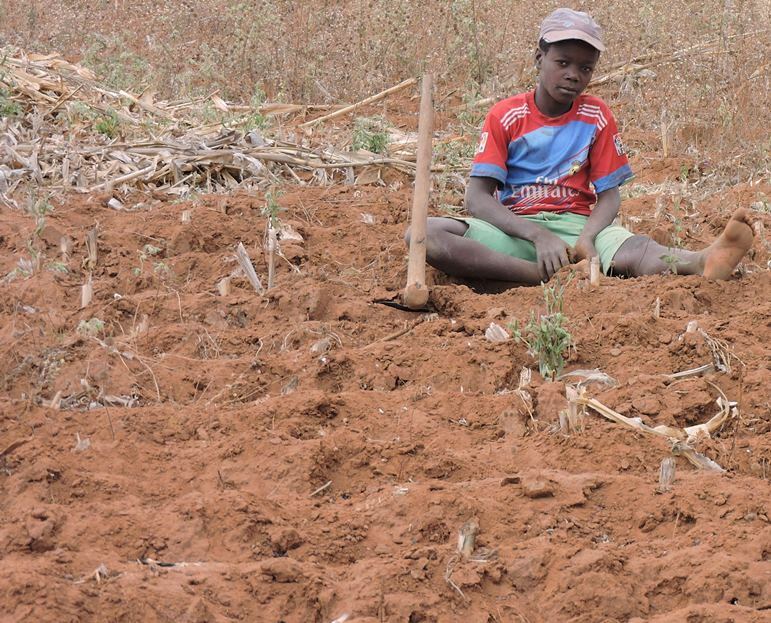 After all, conservation agriculture has worthy aims, such as improving soil fertility and halting erosion. Conservation agriculture includes many practices, such as minimum tillage, cover crops, and straw mulch. Most of these are old practices, widely used somewhere in the world, although none are used on farms worldwide. Some farmers have competing goals, besides soil conservation. Tumpale and I were visiting a field in Malingunde, in Central Malawi where Alefa had harvested groundnuts and was about to plant maize. So Alefa was rotating crops, which is one component of conservation agriculture. Alefa asked us how she could improve soil fertility, and Tumpale recommended composted manure, another component. Alefa listened with interest. On the way back to the car Tumpale stopped and asked me to look at a boy sitting on the ground in a dry field. Most of the ground was bare, except for some spots where the few remaining maize stalks had been piled up, ready to burn. “Do you know what he is doing?” Tumpale asked. It didn’t look like he was doing anything, just sitting there, toying with a short-handled hoe. “He’s waiting for rats,” Tumpale explained. The dry season is driest right at the end. And that is when older children look for rat holes. The kids pile up maize stalks where the rats like to hide, and burn the stalks, creating a clear, wide open field of bare earth and ash. There is nowhere for a rodent to hide. Then the boys dig up the rat holes, and when the rats run out, the boys club them with the hoe, and take their prey home to eat. It’s not as terrible as it sounds. I’ve had rat three times this year so far, twice in Uganda and once in Nigeria. Rat is a treat, especially if grilled on an open fire. One conservation agriculture practice is to leave crop stubble in the field, where it slowly decomposes, protecting and enriching the soil. It’s a sensible recommendation. But people aren’t following this suggestion, at least not in Malingunde. During the scorching dry season there is not much else for cattle to eat, so after harvesting the maize, people take the corn stalks home, and feed the leaves to their animals. Women burn the bare stalks as fuel, for cooking. 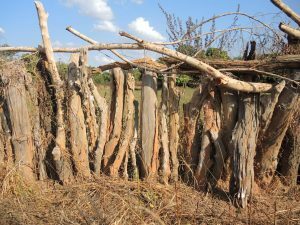 In this part of Malawi crop residues are more valuable at home than in the field. 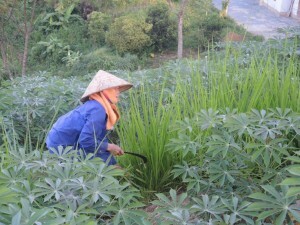 Stalks that are not gleaned during the dry season may eventually be burned to clear the ground for gourmet rat hunting. 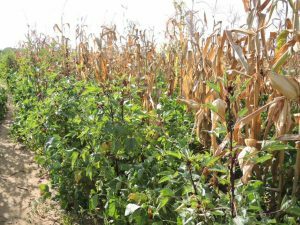 Conservation agriculture is marketed as a package, or a brand, but that doesn’t mean that all recommended practices will be adopted. Some will have to take second place to existing needs, like the search for tasty rats. 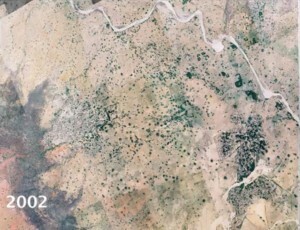 In the 1980s desertification was a cause for alarm. The basic idea was that smallholders in the Sahel were grazing too many animals and cutting down too many trees. 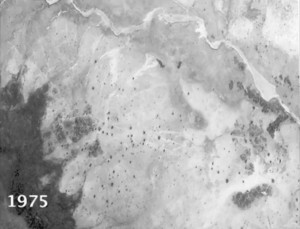 As a result, the Sahara was creeping into the Sahel, turning fields and pastures into desert. The reality turned out to be more complex than that. By the 1990s, academics had debunked the idea that peasants caused desertification. In Gourma, Mali for example, there was no relationship between deforestation and domestic firewood consumption, because smallholders gathered deadwood as fuel, and did not down cut live trees (Benjaminsen 1993). In fact, the boundary line between the desert and the Sahel had not changed in the 16 years between 1986 and 1998. Rather, the boundary ebbed and flowed with changes in annual rainfall (Nicholson et al. 1998). The number of individual trees in West Africa did decline in the second half of the twentieth century, but this was largely because of the droughts of the 1970s and 1980s. Remarkably, smallholder farmers in the Sahel were actually encouraging the natural regeneration of trees. In a hiking survey of 135 villages in Senegal, Patrick Gonzalez noted that when a tree sprouted, people would protect it, and when it was large enough prune it (Gonzalez 2001). 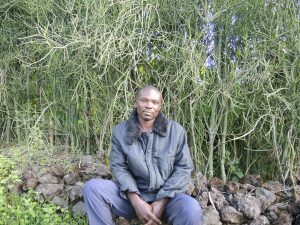 This may strike some readers as wishful thinking, but William Critchley and colleagues at the University of Amsterdam have also documented farmers in the Sahel protecting small trees. Critchley et al. have made several videos on how farmers in the Sahel use various simple techniques to encourage trees. Farmers dig small pits that collect rain runoff. By applying manure in these pits the soil is improved and when a tree seedling germinates, farmers keep livestock from nibbling it away. As an added bonus, many of the trees that seemed to have died in the 1970s and 1980s still had life left in the roots. 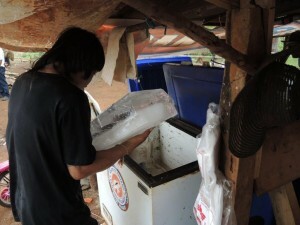 As the branches began to grow back from these “underground forests” farmers protected them as well. 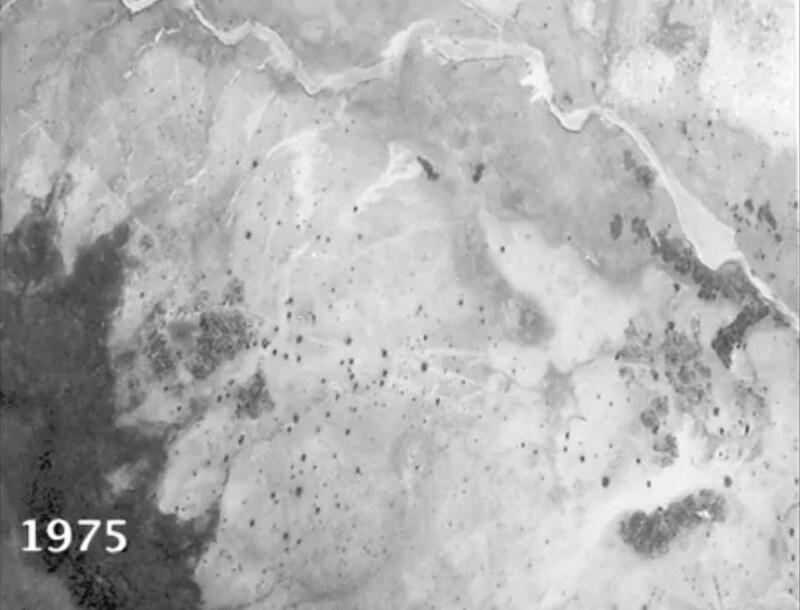 In his video Managed regeneration, Critchley uses aerial photos of the village of Galma, Niger to show that dramatic recovery of vegetation between 1975 and 2002. It is worth noticing that the Sahel is recovering from the droughts of the twentieth century, and that smallholders do value trees, and take some steps to encourage reforestation. During the drought decades, international projects funded nurseries of eucalyptus and other exotic trees in the Sahel, but most of these died (Gonzalez 2001). One might be forgiven for assuming that foreign trees are simply inferior to native species, but it’s not quite that simple. Eric Boa points out that in the Sahel the single most important tree across the transition zone from arid to semi-arid is not actually a native species, but the leafy neem, a native of South Asia which was introduced to Africa about 100 years ago. Neem now grows from Mali to Sudan. Neem trees are fairly drought-tolerant, but even they declined in the early 1990s, probably because of the long dry spell. Some activists prefer indigenous species, such as Balanites aegyptiaca, but neem grows much faster, which is why people like it (E. Boa, email). 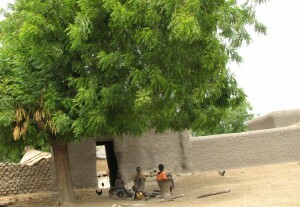 In the past few years I have been impressed by the sight of great neem trees around farmsteads in Mali. Rural people know as well as anyone that trees provide fuel, timber, shade for livestock, fruit and other services. No doubt future generations in the Sahel will encourage native trees, and continue to plant naturalized foreigners like neem, adapting to the slow rhythms of moister and dryer decades. You can watch the videos here. Managed regeneration, and Parkland agroforestry. Benjaminsen, Tor A. 1993 Fuelwood and Desertification: Sahel Orthodoxies’ Discussed on the Basis of Field Data from the Gourma Region in Mali. Geoforum 24(4): 397-409. Gonzalez, Patrick 2001 Desertification and a Shift of Forest Species in the West African Sahel. Climate Research 17:217–228.